Thieves have stolen memorabilia from a hospital waiting room set up to help patients with memory problems. 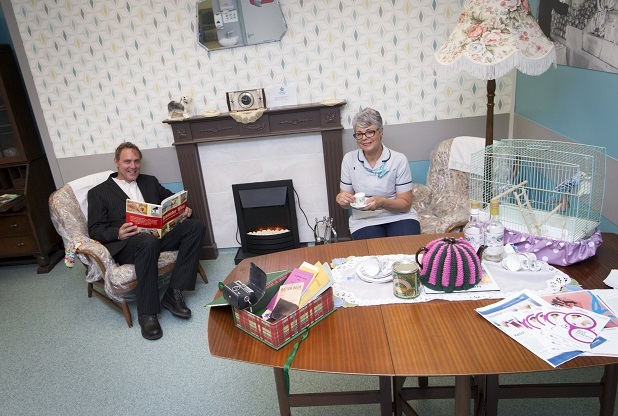 Staff in the Fracture Clinic at Hull Royal Infirmary set up the memory area in the style of a front room from the 1960s and 1970s to ensure patients living with dementia could feel calm before attending appointments. Clinical support worker Kerry Morten, who has worked at Hull University Teaching Hospitals NHS Trust for 18 years, collected household memorabilia from tea pots, dishes, ornaments and furniture to create an authentic area for patients to relax in before they are treated or even to have their treatment carried out in less stressful situations. 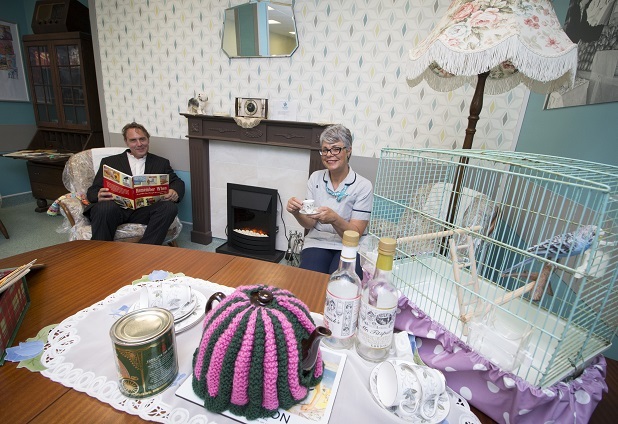 She said: “We created a front room with authentic wall-paper, furniture and ornaments donated by people or brought in by staff. We’re so grateful to everyone who has helped us. “We’ve noticed, over the past few months, that things are going walkabout. We’ve bought books with old photographs of Hull with our own money and they’ve gone. “Someone gave us a tea set and half of that has gone missing, with the teapot and even the tea cosy being taken. “We even had a load of old newspapers dating back from the early 1900s handed into us and someone’s taken them too. The Fracture Clinic is based on the ground floor of the tower block and sees around 600 patients every week, with a further 600 patients seen by some of the 35-strong team in the orthopaedics outpatients’ department. People come to the clinic after breaking bones and to have their bones set in plaster casts to help them mend. Staff working in the Fracture Clinic are now appealing to the public who come to the area for appointments to leave the items in the “front room” so the patients living with memory problems can benefit. Kerry said: “Looking at photographs they remember or images they recognise can help people feel calmer and take their minds off the reason why they’ve come to the Fracture Clinic. “Not only does that help the patients, it also helps the staff but we can’t keep providing this area of calm if people keep stealing the furniture, books and ornaments.